People will go far beyond pencils in the name of eyebrows. We've heard of brow transplants, but Byrdie has the scoop on a new procedure that's a little less invasive. 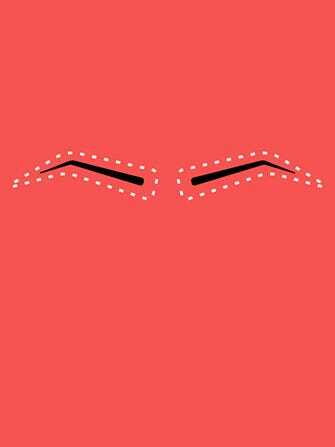 Ladies, say hello to the eyebrow tattoo. Permanent makeup isn't exactly a new phenomenon. Ladies have actually been tattooing eyeliner on for years. But, the procedure, as detailed by Byrdie, doesn't necessarily involve you heading down to your local ink joint. There's a consultation which determines the shape and color of your new brows. The procedure itself takes anywhere from 45 minutes to two hours, after which you'll have to go in for touch ups. The entire bag can cost between $300 and $1,000 — which is (according to our mathematical minds) the equivalent of about 573 brow palettes. That's a lot of dough, people.